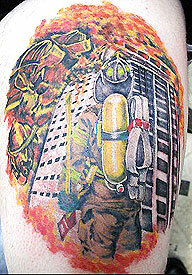 Dave has been tattooing for over 17 years and is also been a volunteer firefighter for 13+ years. Currently a Leutenant on Lore City Volunteer fire department. He is also an EMT and specializes in custom tattoos.